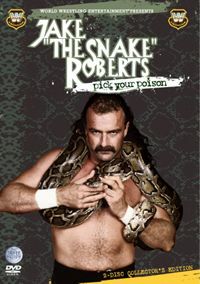 Jake "the Snake" Roberts: Pick Your Poison reveals the real story behind the legend. Get insights into the man who instilled horror into the hearts and minds of Hulk Hogan, "Macho Man" Randy Savage, Ricky Steamboat, Ultimate Warrior and others as he battled in some of the biggest matches of the 1980s and '90s. Hear what it was like to carry a live, 70-pound snake. Go behind the scenes and learn more about the controversial battles with Jerry "The King" Lawler. Listen as he reveals family tragedies, drug addictions and the personal demons that diverted his remarkable career. A master storyteller, Jake Chronicles his amazing career highlights and unimaginable lowlights. Languages: English, Approx running time 341 mins.